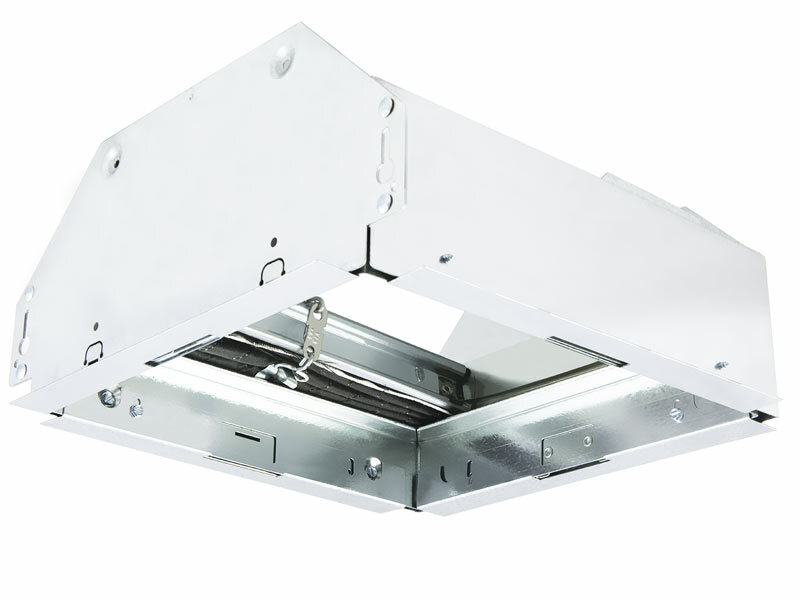 Delta BreezSmart SMT-CRD - Ceiling Radiation Damper helps to limit the radiant heat transfer through an air inlet/outlet opening in the ceiling membrane. SMT-CRD Ceiling Radiation Damper is UL and cUL listed, and exceeds UL 555C for use in 3-hour fire rated assemblies. Installation is valid for the following UL rated wood truss ceilings: L521, L546, L558, L562, L574, L576, L581, L583, L585, P522, P533, P538, and P545. Intended for installation with the following UL Listed Delta Electronic Fan Models SMT130, SMT130M, SMT130H, SMT150, SMT150D, SMT150LED, SLM80, and SLM100. The damper employs a folded curtain style blade for point-of-origin control of radiant heat in a ventilation system. SMT-CRD installs in the ceiling membrane for floor/ceiling or roof/ceiling assemblies with a re resistance rating up to and including 3 hours.